Everyone wants a place to relax when they get home from a hard day. Anyone who owns a pond will tell you that there is no better way to forget about the rest of the world than by sitting in front of your own beautiful decorations, a unique water pond. Whether it's the sound, or the movement, or the fish swimming to the surface, the attraction of a water garden is undeniable. 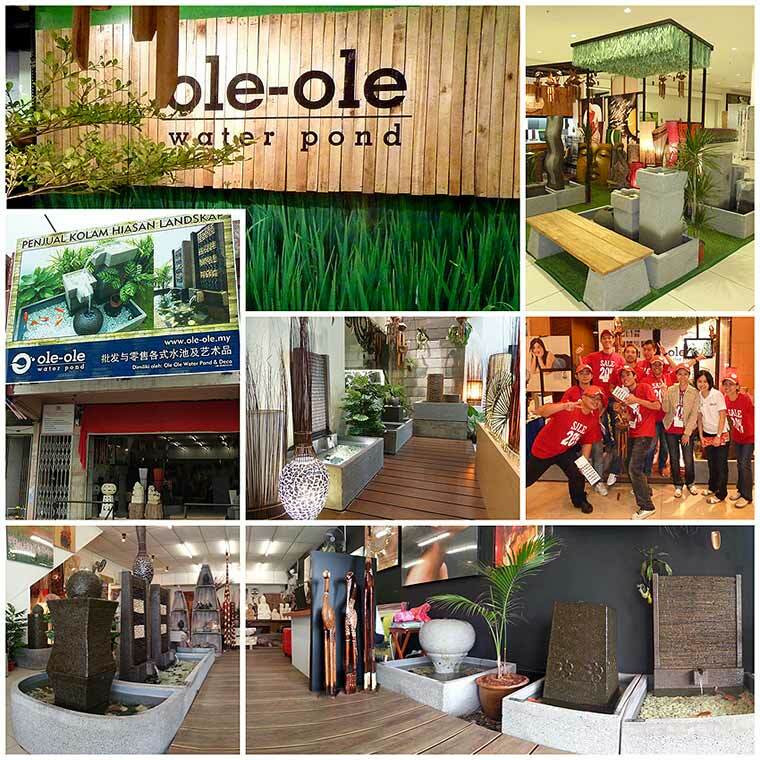 Ole-ole Company established in 2000, our designers has more than 11 year experience in interior design, although there is only 2 year experience in water pond & home decor, but we already have a very outstanding result in this field. We provide the services such as gardening and decorate the house. There is also product manufacture, such as sales, supply, install, rental in whole Malaysia & Singapore. It is allow our customers to more easily achieve their needs. We specialize in a wide selection of indoor and outdoor water ponds. In addition to our incredible vast selection, we also offer some of the most competitive pricing you will find. And if you have any questions, please give us a call. Our experts are happy to help you find the right solution and make your shopping experience better and easier.